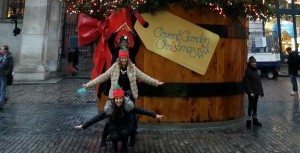 Why You Should Do Something Different This Christmas In London! Why you should do something different this Christmas! With December almost upon us we will soon be enjoying the festivities that are celebrated on Christmas day as we all sit around for a festive feast and enjoy our time with family. Celebrations are always felt across the world as we spend more than any other month to find presents for our loved ones. Another element of celebration is within the workplace as companies gear themselves up for Christmas parties with their colleagues. This is why December is soon becoming one of team tactics busiest months of the year! However it hasn’t always been the way. 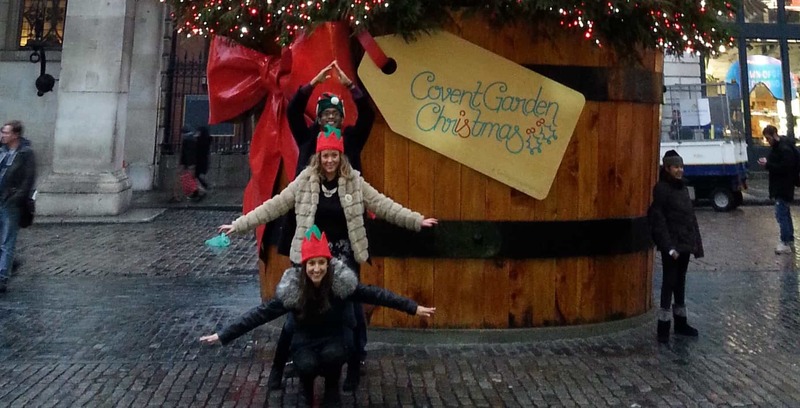 Our most recent event was from our range of different treasure hunts across the capital as they explored the delights of Covent Garden and Leicester Square in their rather festive head wear. We remember the days where Christmas parties were shared party nights year after year in the same venue with the same catering and the same cheesy songs. Since introducing special festive versions of our vast portfolio of unique and fun team building events we haven’t looked back! Ranging from Yuletide Treasure Hunts to Corporate Cooking we are going to experience the busiest December yet. With events having already started in November we are ready to deliver some excellent events across London. Being able to combine both team building activities and a Christmas celebration is great news for budgets as we provide an activity to increase communication and team interaction along with a fun experience with plenty of laughter along the way. The Santa Sleigh Trail always promises a great afternoon of festive trivia to solve the riddles and find the clues hidden across London in our taxi cab adventure that will put your detecting skills to the test. Your very own London Cabby will make your experience one to remember as you’ll have nothing to worry about apart from finding the clues and earning as many points as possible against the other teams! Another of our exciting events which is gaining popularity is our Chisel All The Way which is definitely more suitable for the festive period as the weather gets colder and the frost settles in the mornings. This involves learning a new skill with expert advice as you carve a block of ice into the shape of your choice. Penguins are one of the most popular this year as more and more people steer away from the traditional office Christmas party. With so many variations of our team building events we can bespoke the experience in multiple ways by, for example, changing questions on the treasure hunts to be company specific and add a bit of originality to the event. So it is clear to see why breaking out of the standard office Christmas party mould is beneficial for companies in engaging their teams and giving them a festive treat as you celebrate the success of 2014!